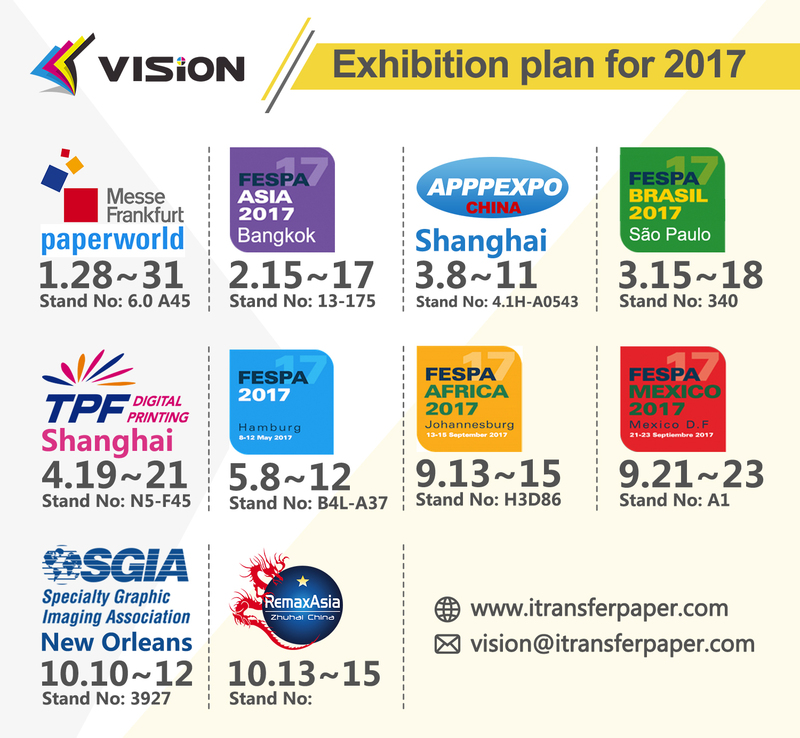 vision as a manufacturer of sublimation paper. we would like to update our sublimation paper details here. We use Microporous technology, high transfer rate, anti-curling.Very stable quality. And we take part in all exhibition aroud the world these year. 45gsm fast dry paper------for high speed MS/REGIANIE printers,dry quick. 80gsm fast dry paper------for calender machine,dry quick,save ink & time,hotsale. 100gsm fast dry paper------for calender & heat press,high transfer rate. 100gsm sticky paper------for sportwear,strong tacky,low price. What Cause Your Sublimation Paper Dry So Slow?